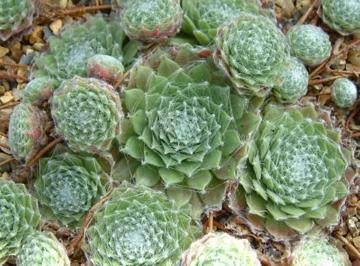 Dense, mounding alpine succulent with rosettes of pointed green leaves covered in web-like white hairs. The outer leaves become red tinted. Pink star-shaped flowers in summer.